Two x2 bedroomed en-suite luxury up-market units each with fully equipped kitchen with dishwasher, comfortable living area with full DStv and DVD. Ceilings fans and underfloor heating throughout. Private patio with patio furniture, Weber braai, retractable awning and patio heater. Lock-up garage with full laundry facilities. All bed linen and bath towels are provided, but bring your own beach towels. These units can convert into a lovely four bedroomed house, sleeping eight people in all. The two main bedrooms have a choice of Kingsize or 2 single beds in each. 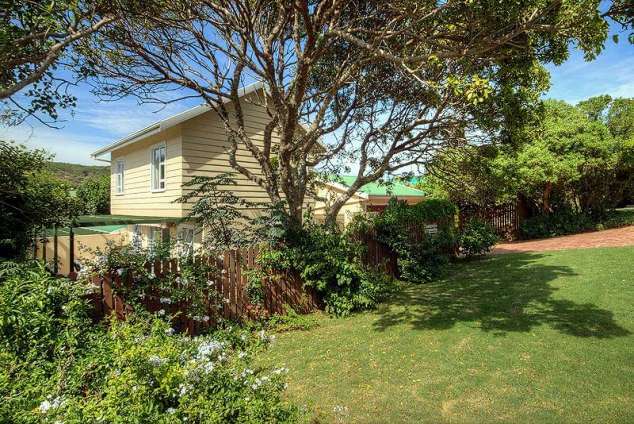 Situated in a quiet secluded area five minutes walk from the village centre, restaurants, Kariega river, lagoon and main beach. Kenton is situated between two tidal rivers (the Kariega and the Bushmans) and has some of the finest beaches. Various Malaria free Game Reserves (including Kariega, Sibuya, Amakala, Lalibela, Shamwari, Pumba, Kwandwe and Addo) are within easy driving distance. Royal Fish River golf courses are nearby. Horse trails, canoe trails, boating and fishing are all available at Kenton. 19208 page views since 14 Feb, 2007.